As promised, I decorated the house over the weekend for Easter. I am proud to say, I only made two trips to Michael’s Arts & Crafts for all my projects – that is a success my friends! Usually I make a list, check it all off and forget one small thing and have to go back. Or, I get to the store and end up purchasing all new materials for a totally different project. That place has a way of sucking me in. Moving on to our decorations! 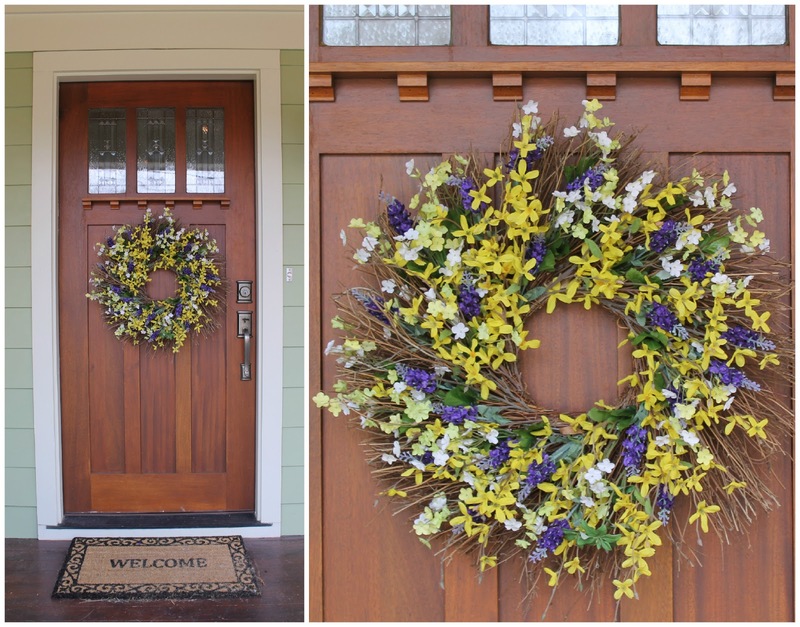 Our first Easter decoration can be found as you enter the front door of our home! All of the spring flowers at Michael’s are 40% off, so I was able to make this wreath super cheap. I love the pops of yellow and purple. Oh, and want to see the awesome picture text I received from my Mother-in-Law yesterday? 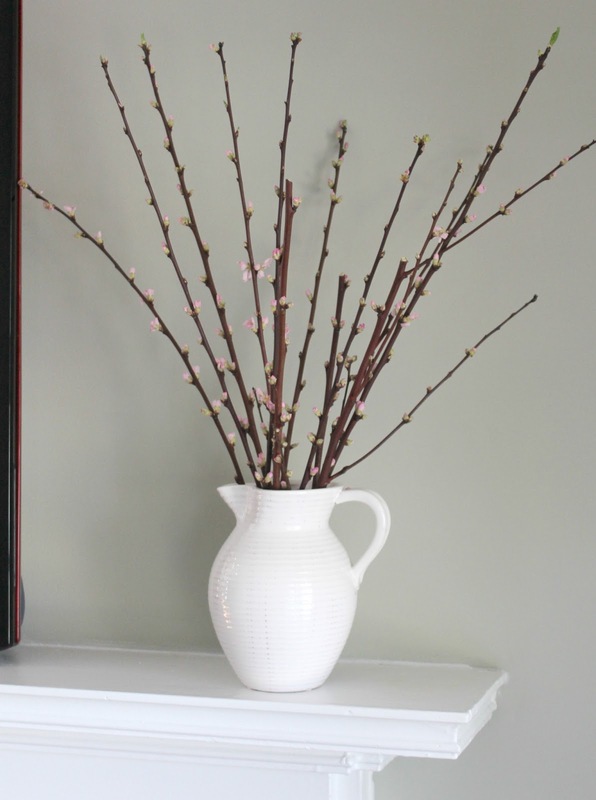 flowering branches from Trader Joes. I can’t wait to see these little guys blossom! 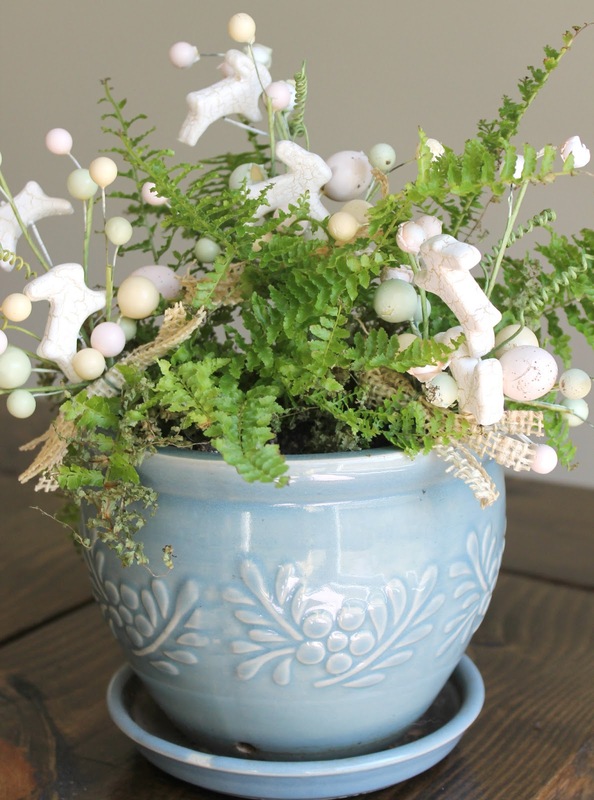 I also added a few little Easter twigs to my fern that sits in the kitchen. 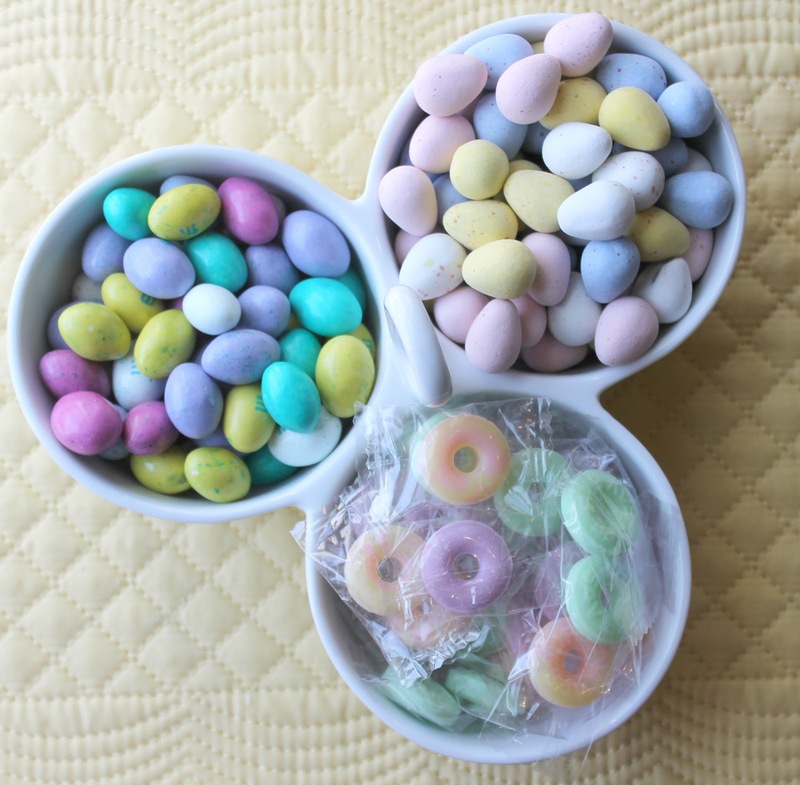 Speckled peanut butter M&M’s, pastel Lifesavers and speckled Cadbury eggs. Sadly, this dish was empty within a day and a half. We do not do well with candy dishes in our house. Previous Post Easter Basket Blog Hop! Random, but I really love your front door. The candy is making me drool and it's not even 10 am. Shoot! those brownies are so freaking cute. I have yet to make a diy wreath. I think I am going to for summer. Hopefully a monogram will fit in somewhere. You're absolutely the most wonderful decorator I've ever seen! It was a feat for me to just Spring-clean my house this weekend, much less decorate ;)But I DID manage to grocery shop for ingredients to make a few of your delicious recipes this week! Can't wait to dig into some Eggplant Caprese tonight! Love your wreath! I need to get some Spring stuff put out! You are the most creative person I know! Looks gorgeous! That wreath is gorgeous! Too funny that your MIL made pretty much the same one! 🙂 Yay for Spring being right around the corner! Everything looks so great! I wish I had put ours out this year… with everything wedding going on in our house there is just no room! Love it all though… & the wreaths!? So pretty! What a cute wreath!! The colors are perfect for Easter! oooh everything is so springy and pretty! So pretty! I love the wreath:) oh..and of course the tulips! Beautiful wreaths!! I need to make one for our door! All of your Easter decorations look great! That's too funny about the wreath. Great minds think alike, huh?! Those brownies are adorable and look so delicious! I'm going to have to keep these in mind to bake with my nieces. Wow, looks gorgeous, friend! And are you kidding about the wreaths??! That's crazy that your MIL made basically the same one! 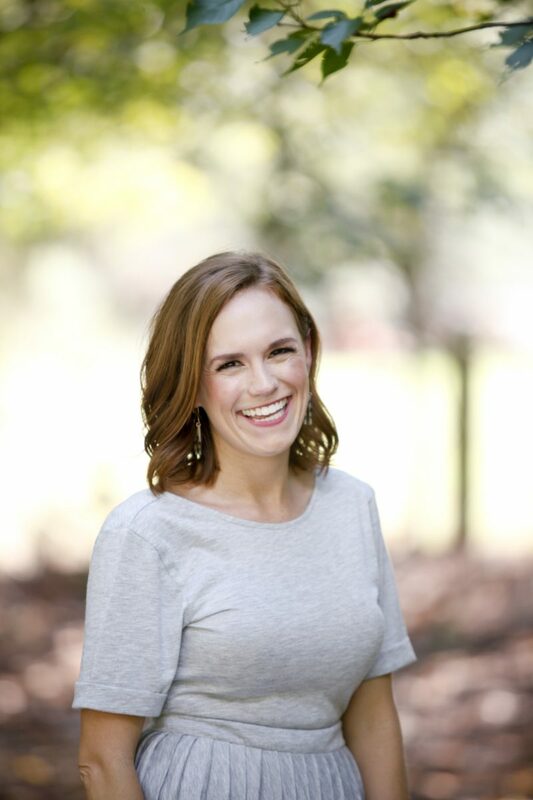 And, I can't get over your front door…. love it. Want to trade me houses? Come on, why not?! Ha!! 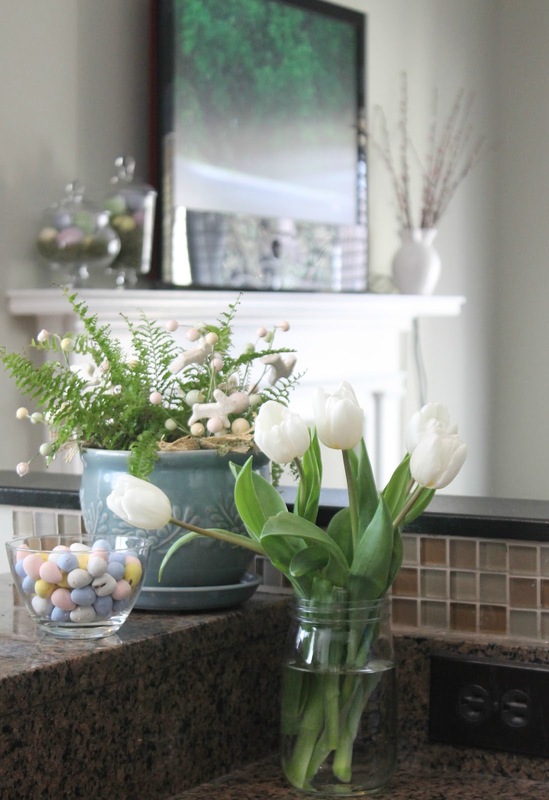 All of your Easter decorations look fabulous! 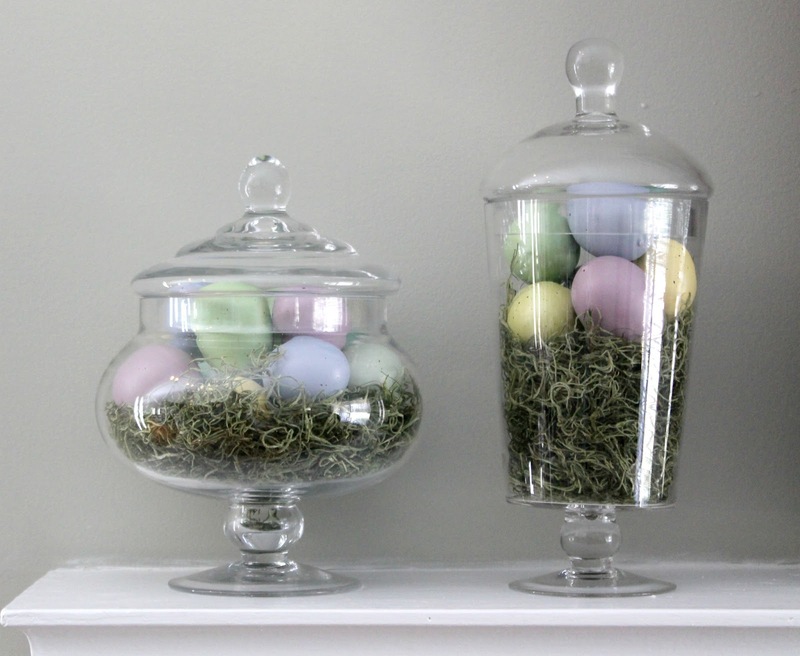 I especially love the apothecary jars with th emiss and eggs, I need to try this. Cute, cute, cute! Everything looks great (and delicious)!